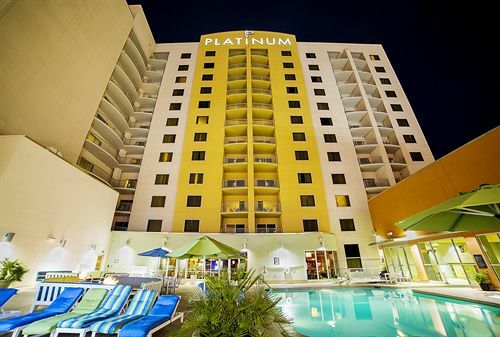 The Platinum Hotel, 211 East Flamingo Road, is non-smoking and non-gaming and located just a few minutes’ walk from the Las Vegas Strip. The Platinum Hotel is non-smoking and non-gaming and located just a few minutes’ walk from the legendary Las Vegas Strip. This makes it ideal for anyone who wants to experience all of the magic that Vegas has to offer in safety and comfort. 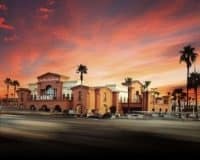 The amenities that the hotel offers are simple and functional and include a refreshing outdoor pool, perfect to use during the hot Vegas summers, as well as easily accessible WIFI throughout the property and free parking for those who bring their own vehicle. The entire hotel is also pet-friendly allowing you to bring your beloved family pet with you on holiday. 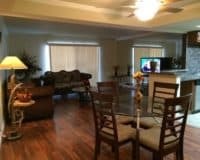 The accommodation is spacious and comfortable, offering a plethora of features to make you feel at home, including modern kitchens attached to every room and its very own separate dining area, allowing you to whip something up to eat and comfortable living areas, equipped with multiple televisions with cable as standard. While the private terraces are the perfect place to chill before a night on the town. 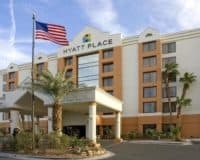 The Platinum Hotel is a great spot for those who want a well-located and comfortable hotel, which is in the heart of the Las Vegas action, without completely breaking the bank. This makes it perfect for couples, families and business people alike. The Strip is 1.5 blocks away. The Las Vegas Convention Center is less than 2 miles.